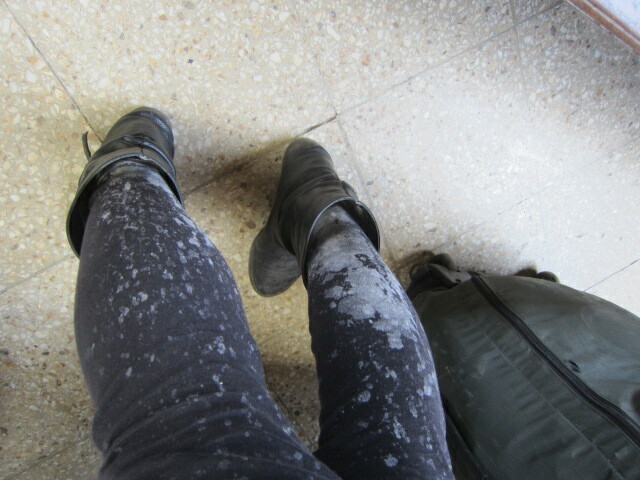 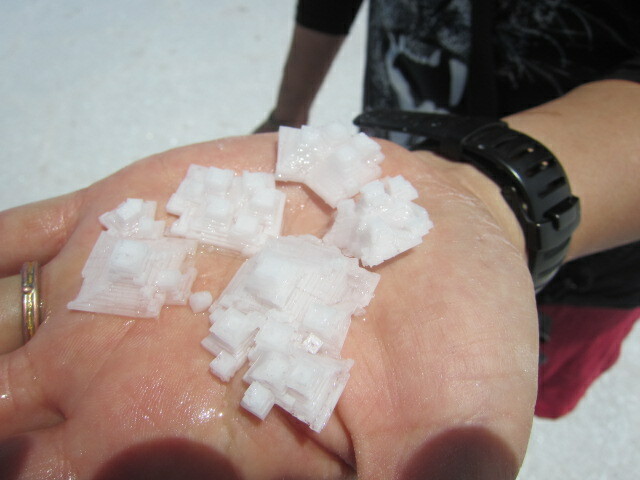 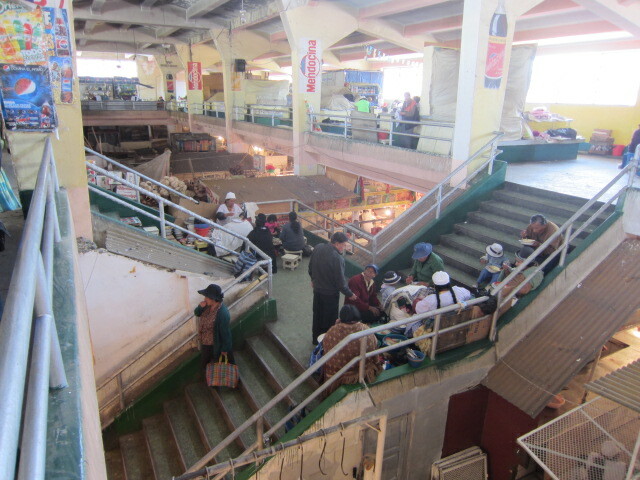 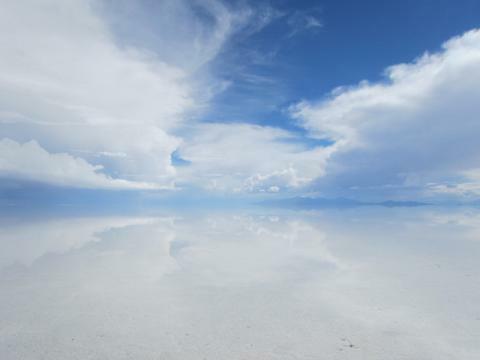 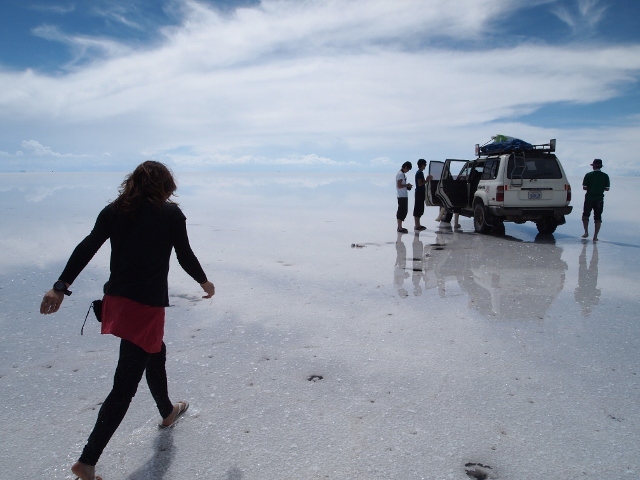 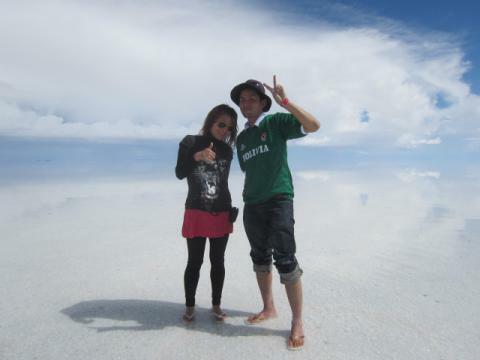 After one day tour in Uyuni,we take a bus to La Paz again with lots of salt. 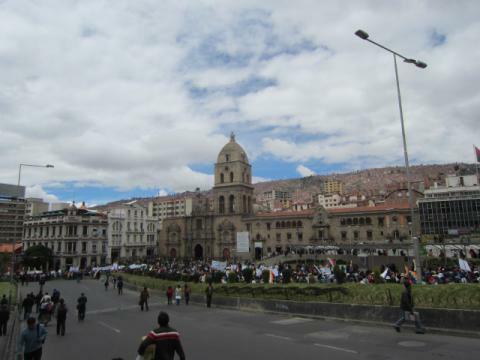 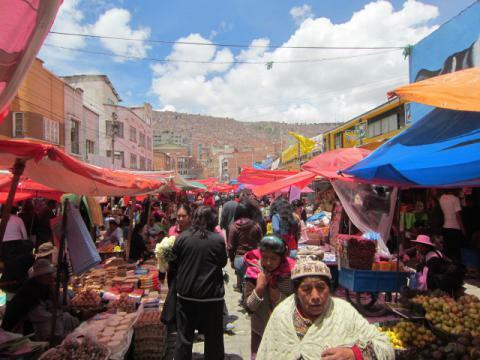 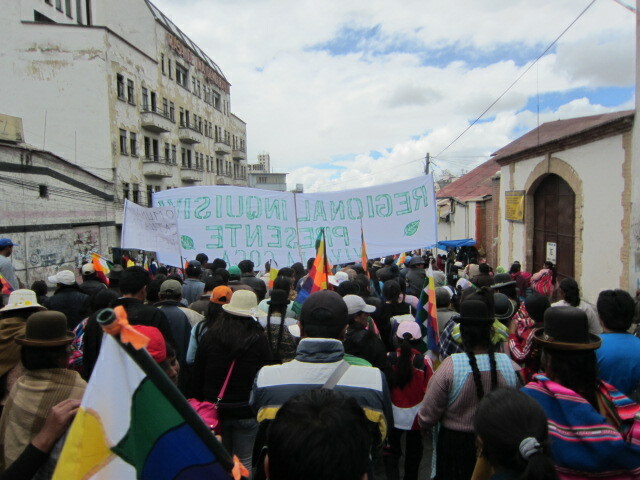 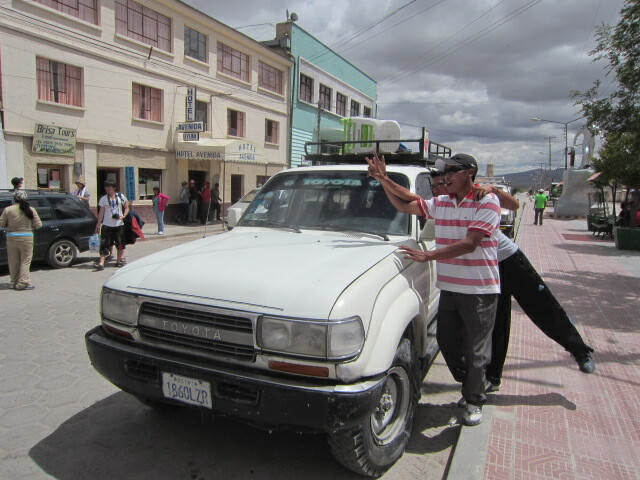 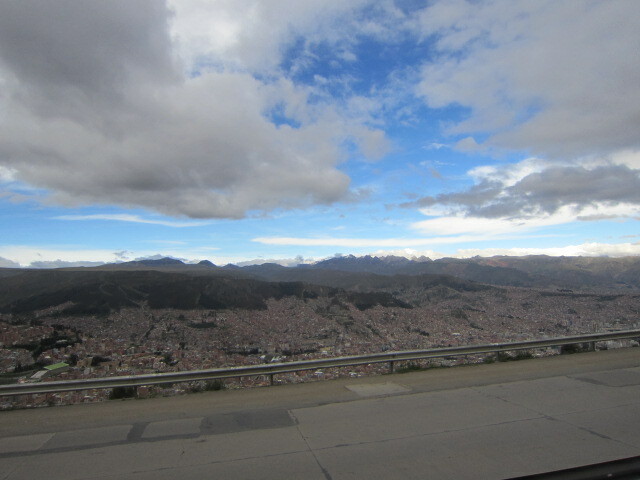 We reached La Paz in the next morning.Demo? 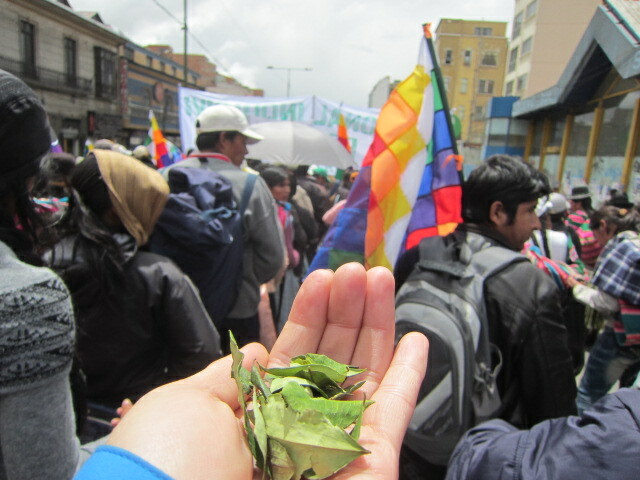 This was a demonstration that "coca leaves are not drugs".Yes,it's very nice leaves for tea. 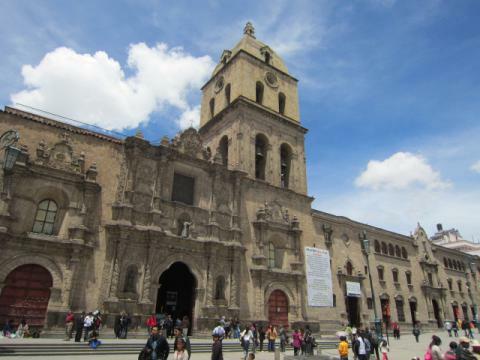 Much people in front of Basilica de San Francisco. 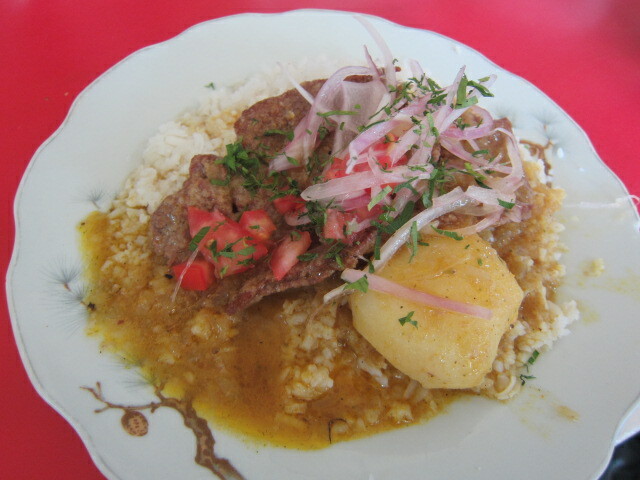 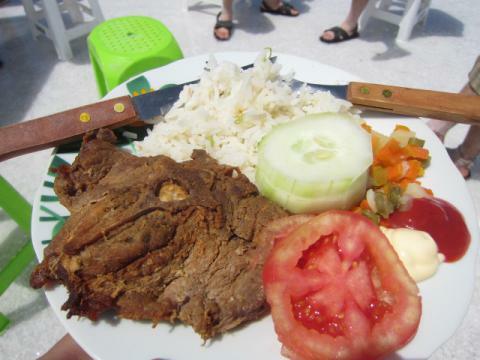 Carne con arroz with nice sauce.Only 8 boliviano en total. 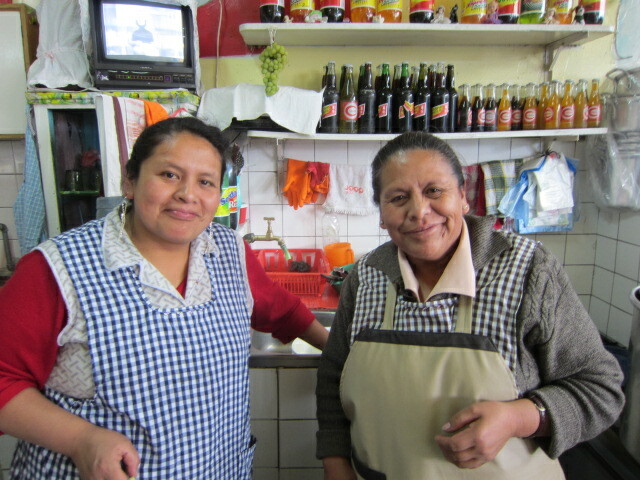 They were so friendly.The best restaurant in La Paz! 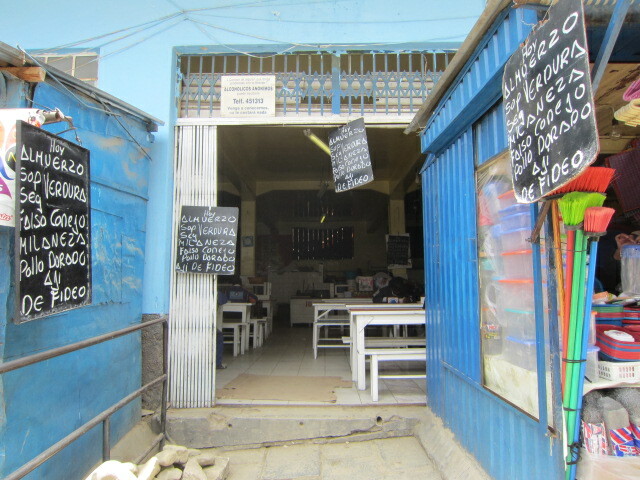 I forgot to check the name of the restaurant but the building was like this. 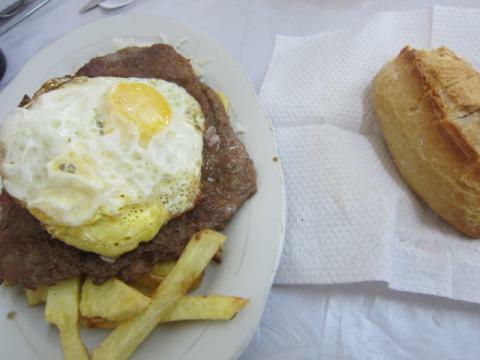 Like this.It's quite near from Mercado Rodriguez. 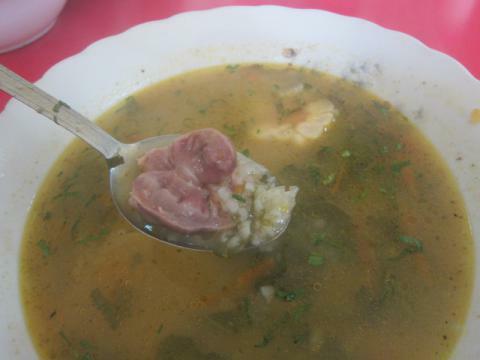 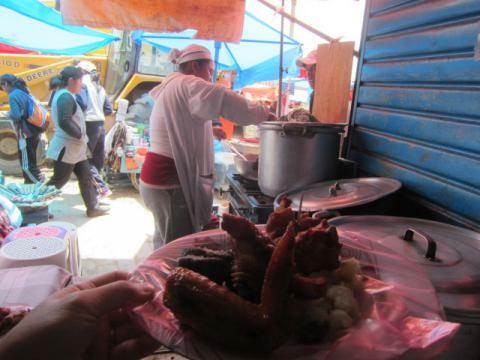 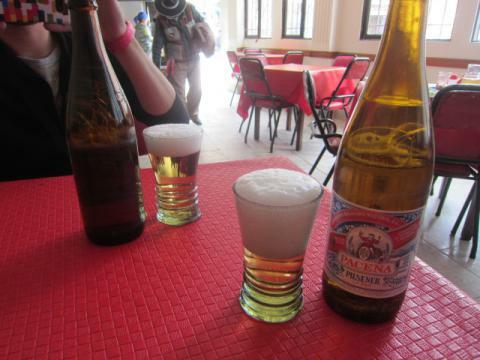 Before leaving for Cusco,we had a beer with Boliviano food,"Silpancho".We are so full! And we got into the bus.It'll take 24 hours from La Paz to Cusco,so we chose really nice bus. There are only three seats in a row.It's like a first class seat in a flight. Plaza de Armas in Cusco at 5:00 a.m. 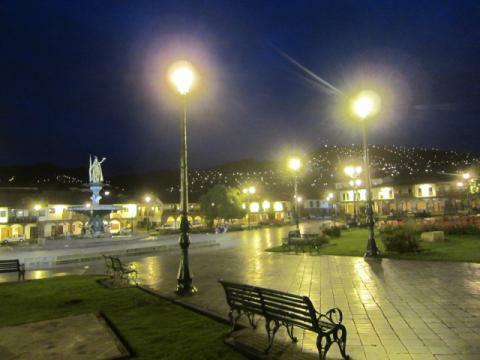 I am going to Equador next. 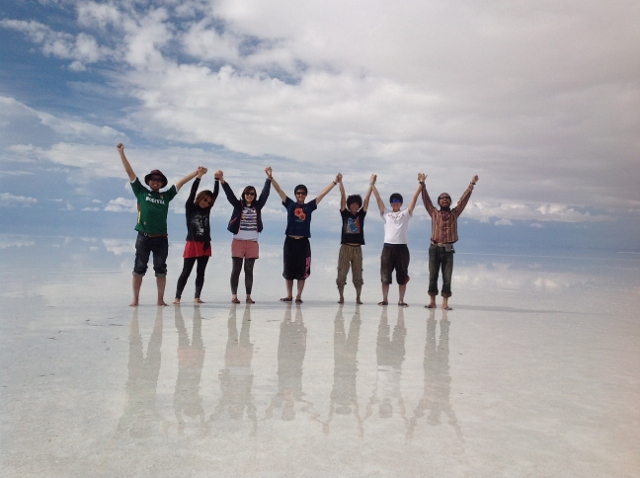 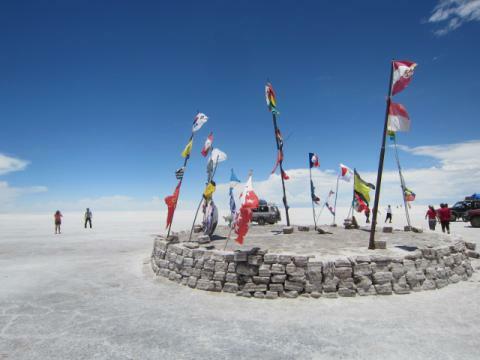 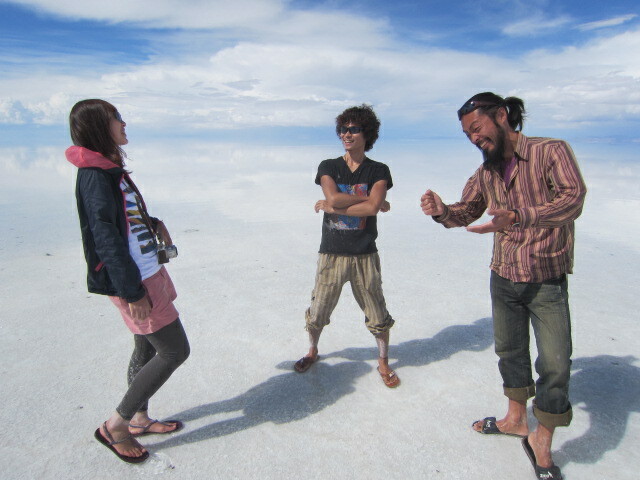 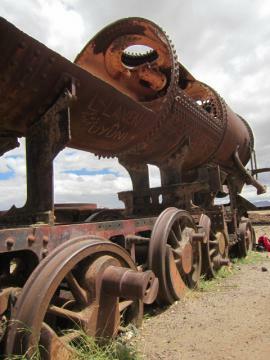 I and Rihito reached Uyuni at 7:30 a.m. on 13th.Jan.We applied one day tour to Uyuni on the same day.Here we go! First we stopped at Cementerio de Trenes. We took photos with flags on the way but actually we were kind of hasty for dentination. 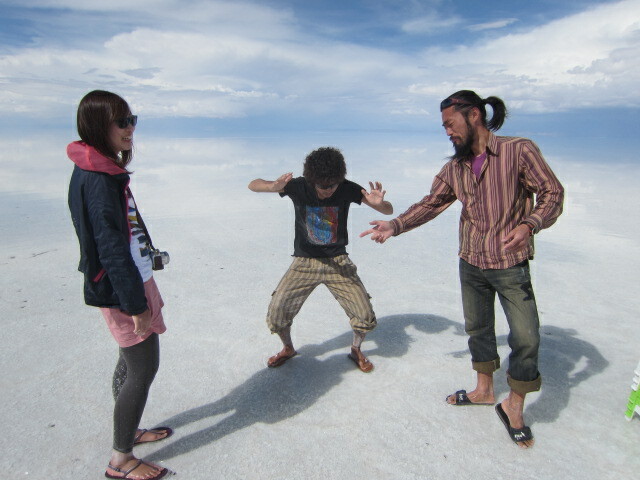 We are kind of confused..., where are we right now? 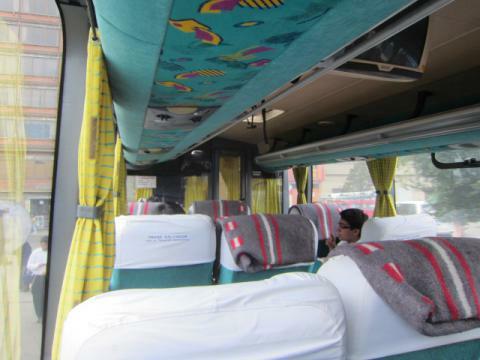 The bus seems like running through on heaven. 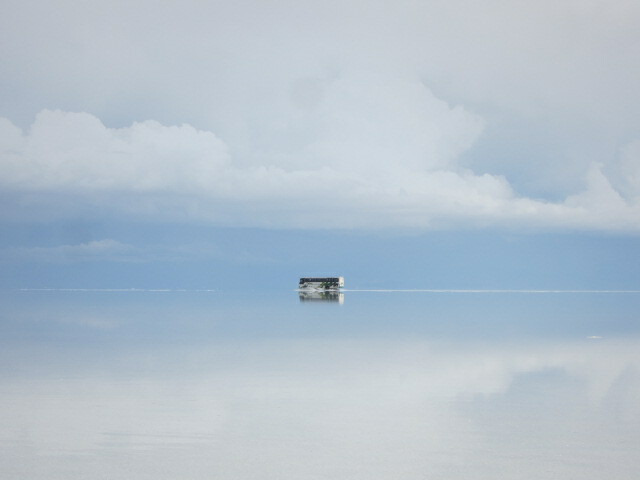 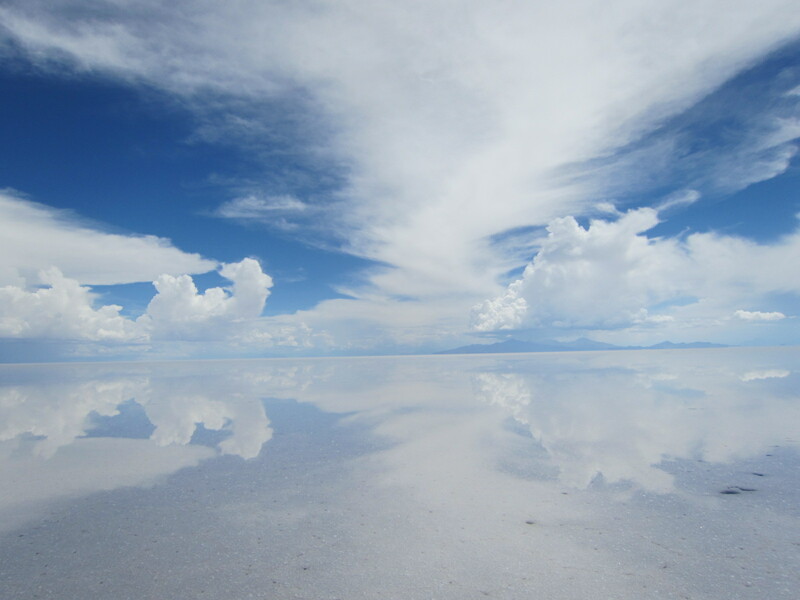 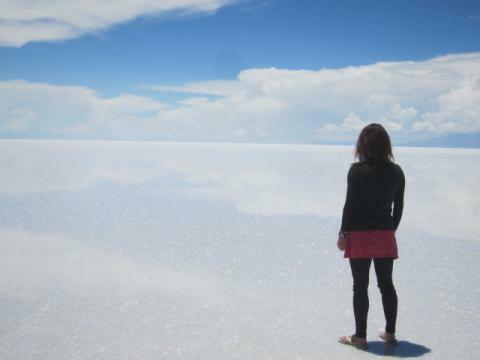 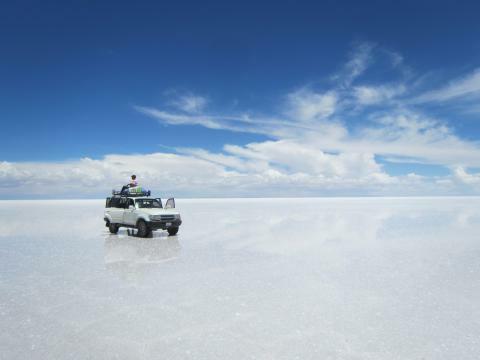 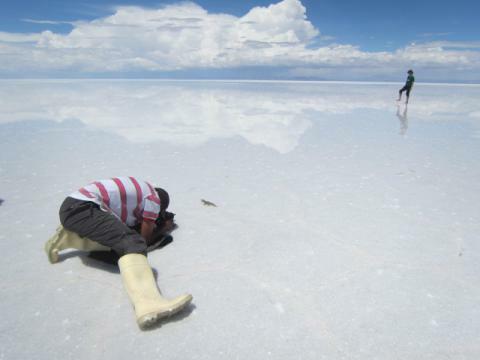 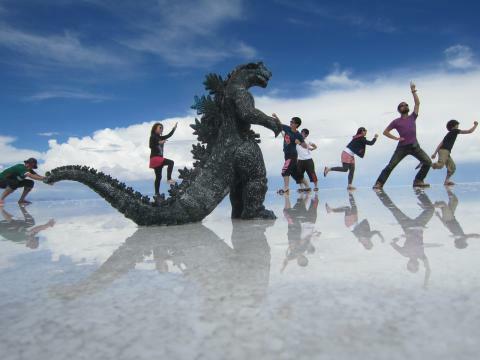 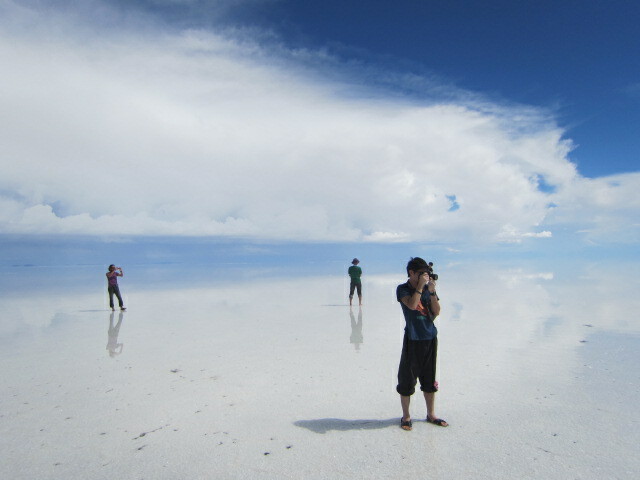 In Uyuni,we can take this kind of trick art photos with perspective illusion. 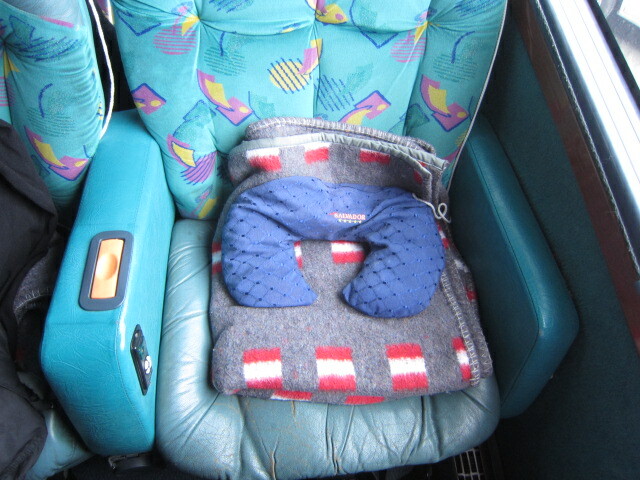 This is how it is taken. Llama meat.Quite chewy but very nice! 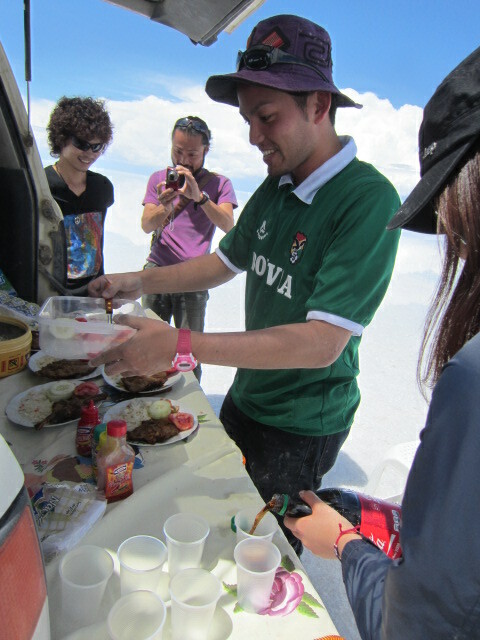 I had really really good time with them here. 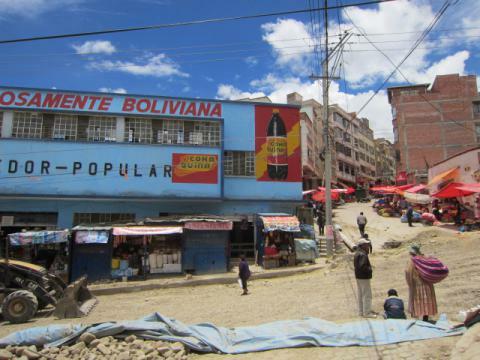 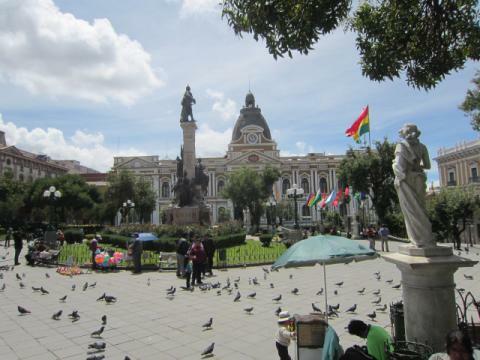 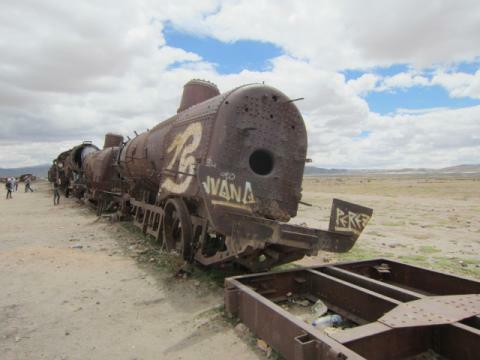 I entered Bolivia from Peru by land route. 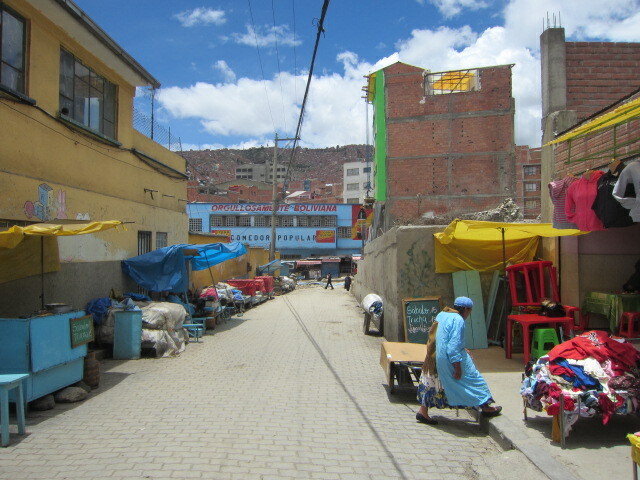 I and Rihito tried to find a reasonable hostel in La Paz.Finally we made it.The next morning,we hang around the city. 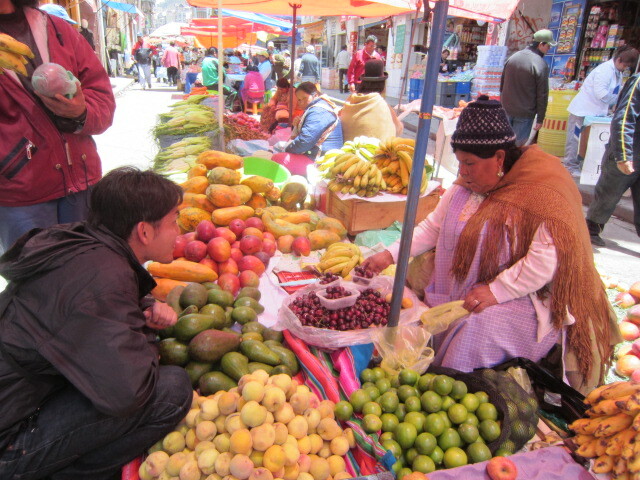 The day was Saturday.They open big markets only on weekends.Rihito likes fruits very much. 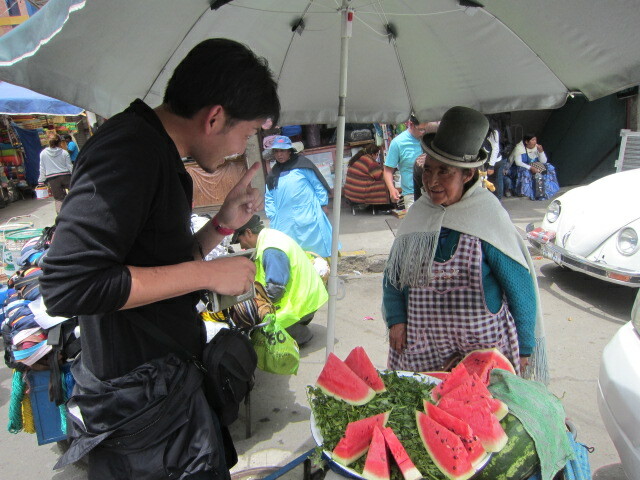 Rihito likes fruits so much. 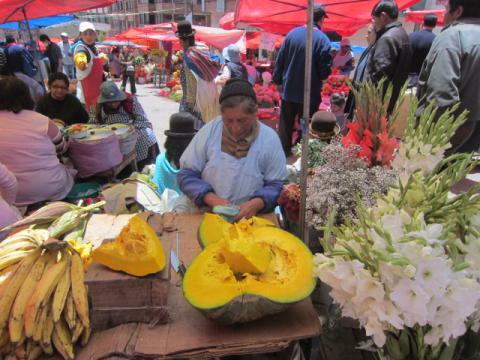 Everythings is huge!Pumpkins,bananas and flowers as well. 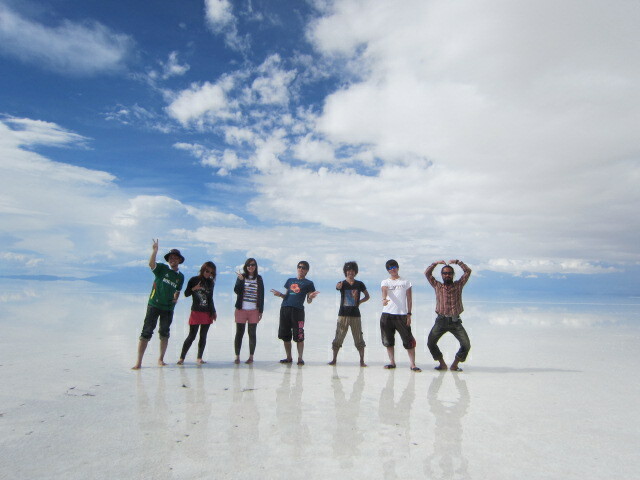 We found one stall.Looks so good. 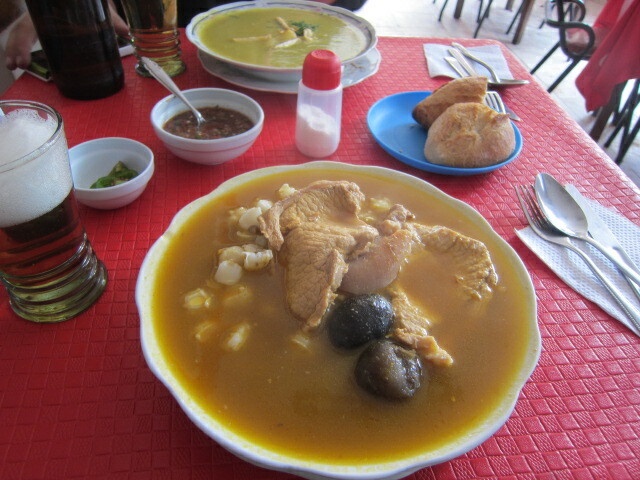 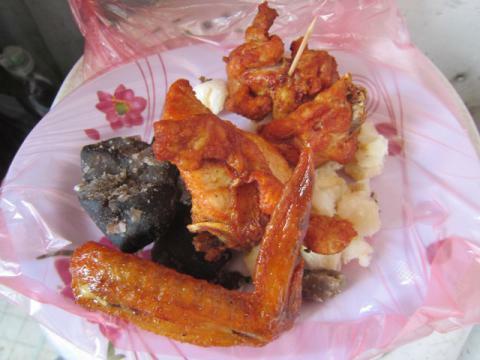 We both ordered chickens.15 Bolivianos per plato.We miss beer!!!!!!!!!!!!! Then,we found a place for REAL lunch where we can drink beers. Fricassee I ordered was very nice but they charge 28 Bolivianos for it!!!!! 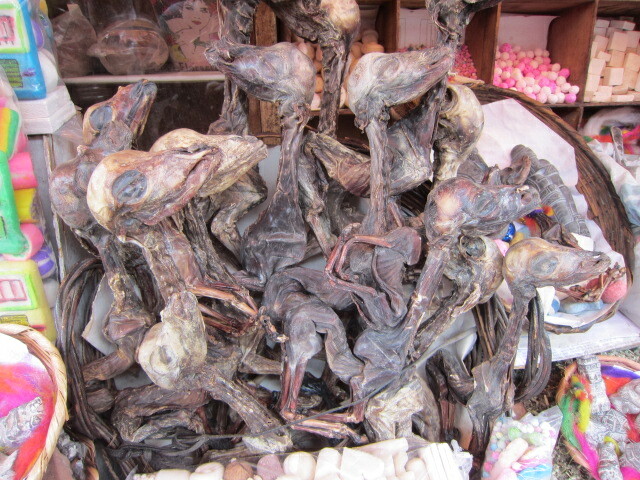 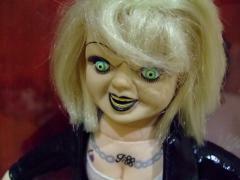 I misunderstood what they explained about the price.But anyhow,it's too much,though.